Regardless of whether you are aware what it is or you have never heard of it before, you should read our list of 6 facts about stack ranking: methodology and examples. Ever since we were in elementary school, we have always been evaluated based on our performance, our interests and ambitions, and our efforts. We have been taught to perceive this as a normal method of establishing who is going to be successful in the future and who is going to be a loser. It sounds sad but it is true. This practice continues when we grow up so we have to compete with our peers all the way through college. After we graduate, we have to compete for our jobs and learn how to fight for ourselves and protect our own interests. Sometimes we even don’t care about the cost of it. The goal is to achieve something no matter what. While this can be extremely useful to us because it pushes us forward and teaches us not to surrender when it’s tough, it can also be very negative and cause us to alienate from others. Obsessed with success, we might oversee what truly matters. If you are interested in learning more about activities which can bond you with your colleagues, read our list of 11 Quick and Easy Team Building Activities for Small Groups. Although it appears so, the biggest problem isn’t getting the job. It’s what comes after we get it. We need to push ourselves constantly and achieve the impossible in order to keep our jobs. Our employers evaluate the quality of our performance so we are pressured to work harder and do better. Countless companies have used (or are still using) the system called stack ranking to evaluate employees’ performance and to rank them accordingly. This system that was so popular in the past is based on a rule that employees have to be evaluated on a bell curve in which 20% of employees are high achievers, 70% are satisfactory, and the last 10% of employees are low achievers who should be fired because they are not contributing to the company’s goals. This method represents a way to weed out those who are not valuable to the company and praise those who are. The percentages must always remain the same every year, meaning that managers must evaluate 10% of their employees as low achievers each time even if they believe otherwise. This system is designed to motivate satisfactory employees to work harder while those who are in the top 10% are rewarded with many bonuses and other benefits. The efficiency of this system was often questioned but remained in use for a long time. 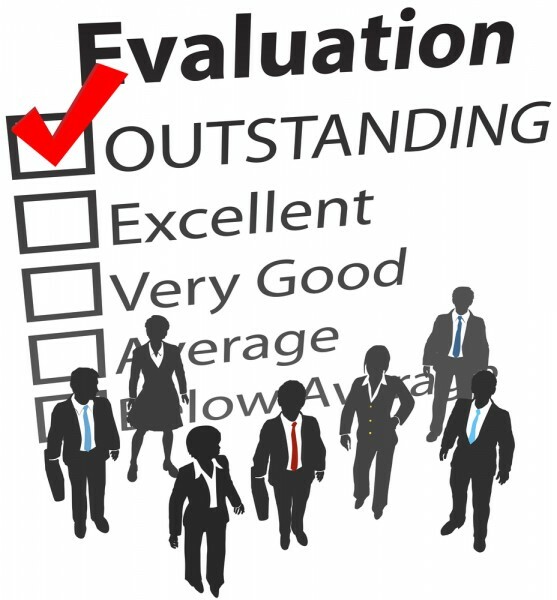 Many famous companies such as Microsoft, Adobe, and Yahoo have been using this model of evaluation, but have abandoned in in recent years. Microsoft used this system for years and then in 2013, announced that it was going to abandon this practice. There are many pros and cons of stack ranking, but if we consider the fact that companies are rapidly eliminating this process of evaluation, it becomes clear that cons outnumbered pros in this case. This way of ranking employees affected their moral and their productivity in a way that was certainly not positive. Many companies realized how stack ranking employees affected their performance negatively because they focused on being better than people in their teams instead of working together, so they decided to apply more flexible methods. A lot has been written about this controversial method that was adopted by many companies. We have explored this topic in an attempt to answer potential questions and we collected 6 facts about stack ranking employees: methodology and examples. And now, let’s see the list of facts about stack ranking: methodology and examples. 11 Quick and Easy Team Building Activities for Small Groups 6 facts about stack ranking: methodology and examples Companies using stack ranking in 2009 Employee evaluation system Employee ranking forced ranking method Hig-performing companies and stack ranking How does stack ranking affect employees? Is stack ranking efficient? List XFinance Pros and cons of staff ranking Slideshow Stack ranking and Microsoft stack ranking microsoft The bell curve system The Origin of Stack Ranking The performance Act 1950 The terms related to stack ranking Three levels of ranking employees Vitality curve When was stack ranking developed? Why do companies use stack ranking?